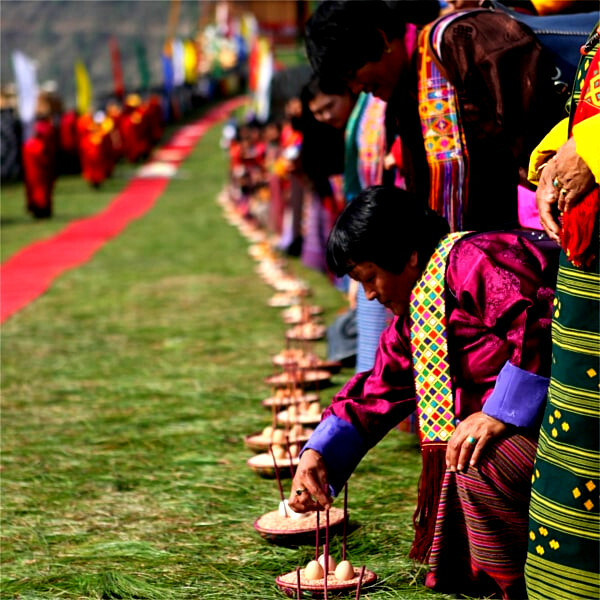 It is suitable for someone looking for short duration of trekking to mix it up with cultural sightseeing. Though it is graded as easy with reference to less numbers of trekking days evolved but in terms of elevations, at some point you will be climbing above 4000 m. The highlight of this tour involves trekking to Sagala pass from where you can enjoy the 360 degree view of beautiful snow capped Himalayan ranges including Mt. Jomolhari (7326m), the border between Tibet and Bhutan. Best Season: March, April, May, September, October, November and December. Despite any season, you can trek year round on this trail. After touching down at Paro international airport meet with your guide and driver and start driving towards Haa valley located 65 km west of Paro District. The driving from Paro to Haa will take about 2 hours. After reaching Haa, if left with enough time then we will visit to Lhakhang Karpo (white monastery) and Haa Dzong. Lhakhang Karpo: Located at Haa valley, it houses the statue of Ap Chungdue, the deity of Haa valley. Once in every year, people around Haa valley gather together to sacrifice a Yak to please Ap Chungdue so that he can continue protecting the valley. We will pay our homage to him and ask for his protection while trekking on his land. Haa Dzong: It was built in the year 1895 to protect western region of Bhutan from Tibetan invasion. It is also known as Haa Wangchuk Lo Dzong. In the year 1963, the Dzong has been handed over to IMTRAT (Indian Military Training Team) by third king of Bhutan as a gratitude for their training services provided to military of Bhutan. Today it is used as a head quarter of IMTRAT. Today we will be trekking for about 4 hours from Haa valley towards our campsite located just below Sagala Pass at an altitude of 3560mm above sea level. 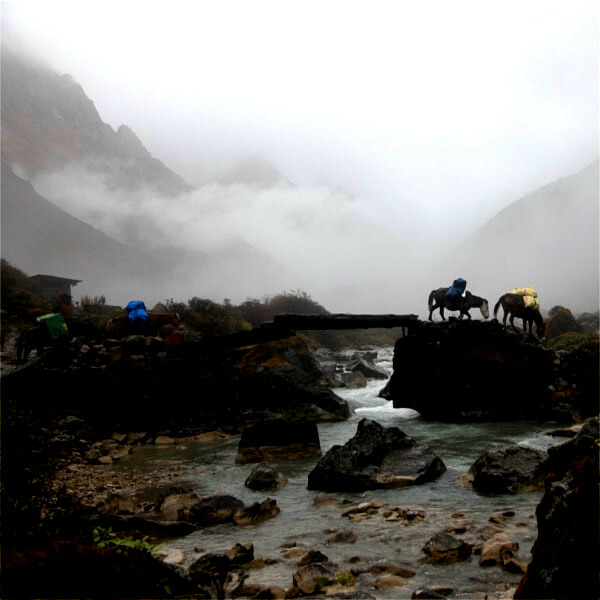 The trail will lead us through a beautiful Haa valley following Makhang chuu (river), passing through yak herder camps and finally to our campsite. After your breakfast, ascend for about 30 minutes toward Sagala pass (3750m) from where on a clear day you will enjoy a stunning view of Himalayan mountain ranges. Today our trail will lead us through a lush meadows and rich rhododendron scrubs, passing through numbers of yak herder camps till we reach our campsite at Nyingula (3900m). 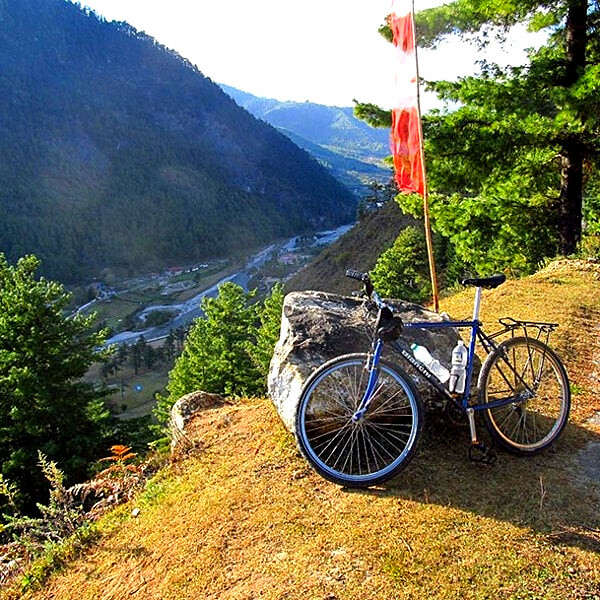 From this campsite we will have a 360 degree view of both Haa and Paro valley. Today we will start our day by ascending towards Kung Karpo (4000m) from where you will enjoy a spectacular view of Haa valley and the mountain ranges at its backdrop. From here we will descend down towards Chela la Pass (3988m), the highest motor able road in Bhutan. Our car and driver will be waiting for us here. From Chelela pass, we will drive towards Thimphu, the capital city of Bhutan. After reaching Thimphu, get refreshed and relax in your hotel. During day time, we will explore Thimphu valley and towards evening head back to Paro. Some of the historical sites that we will be visiting today at Thimphu are National Memorial Chorten, Buddha Statue, Textile Museum and Changangkha Lhakhang. National Memorial Chorten: Located in the heart of Thimphu city, it was built in 1974 by Her Majesty the Queen Mother Ashi Phuntsho Choden in memory of her son, Third King Jigme Dorji Wangchuck. The three-storey choeten houses several relics such as Phurba Lhatshog, Kagay, Khrowo Nampur Gyalwa, Guru Tshengye, and Khenlop Chesum. The choeten is today the spiritual nerve centre of the city. Buddha Statue: Located at Kuenselphodrang, facing Thimphu valley down bellow is the worlds’ largest and tallest Buddha statue standing at the height of 169 feet (52m). The statue houses one hundred thousand of smaller Buddha statues, the exact replica of the outer Buddha statue. From here one can have a 360 degree view of Thimphu valley. Textile Museum: Located near National library at Chubachu, it was established in the year 2001. The museum contains Bhutanese textiles, arts, crafts and more importantly the royal collections which includes first version of the Raven crown worn by first and second King of Bhutan, dresses and accessories worn by royal family and the bedding of his holiness Zhabdrung Jigme Dorji. Changangkha Lhakhang: Overlooking the heart of Thimphu city, the temple was built by Nyima in the 12th century at the site chosen by his father, Phajo Drugom Zhigpo, the founder of Drukpa-Kagyud Buddhist tradition in Bhutan, which today is the state religion of Bhutan. The temple houses, among others, a copper statue of Tandin (Hayagriva), Phajo Drugom Zhigpo and his consort Khandro Sonam Pelden. This temple is considered the guardian of all children born in the Thimphu valley. After breakfast we will drive to Taktsang base from where our hike to monastery starts. Depending on the pace, the average time taken to hike is about 6 hours round trip. Taktsang Monastery: Located 900 m above Paro valley on the face of a rocky cliff, about two and a half hours’ trek from the road point, Taktshang is perhaps the most famous monastery in the country. The monastery was named Taktshang after Guru Rinpoche flew there from Kurtoe Singay Dzong (Eastern Bhutan) riding on a tigress to subdue a demon. Gyalse Tenzin Rabgay, the secular head of the country (1680-1694) has begun the construction of the monastery at this site in 1692 and completed it in 1694. The monastery houses many temples that contain sacred statues of eight manifestations of Guru Rinpoche, Tshepame Yabyum and Bone relic of Pelgi Singay. After coming back from Taktsang monastery we will visit to Paro Kichu Lhakhang and Drugyal Dzong. Paro Kichu Lhakhang: : Located about 10 minutes’ drive from Paro town, the temple is one of the two among 108 temples built by Tibetan King Songtsen Gampo in the 7th century to subdue a demon that lay supine across Tibet and Bhutan. The temple contains sacred relics dating back to the 7th century like a statue of Lord Buddha and four statues of Chagtong Chentong. It also contains the statues of Guru Nangsi Zilnon, Dolma Kukuli (a manifestation of Tara), Zhabdrung, the bone relic of his Holiness Dilgo Khyentse Rinpoche. Drugyal Dzong: Located in Phongdey village in Paro, the Dzong was built as one of the principal Dra Dzong (defence dzongs). While some attribute the building of the Dzong to Zhabdrung Ngawang Namgyal in 1649 to commemorate a victory over Tibetan invasion, some attribute it to the second Druk Desi Tenzin Drukdra. But as its name suggests (Druk – Drukpa; gyal – victory), the Dzong was built to celebrate the victory over Tibetans. The Dzong was used as the summer residence of Rinpung Rabdey until 1951 when it was completely burnt down. The Dzong is currently being rebuilt to its former glory to celebrate the birth of crown prince Jigme Namgyel. After your breakfast, your guide and driver will see you off at Paro International airport for your onward destinations.